Fun and funky, the Royal chair adds instant character to your space. 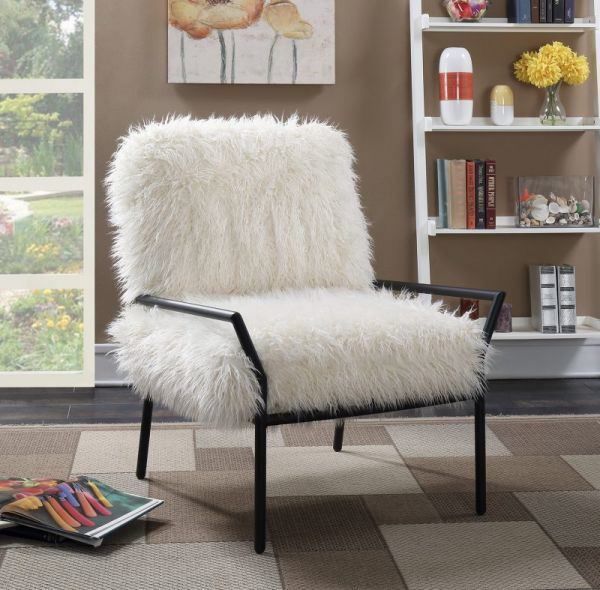 A white faux fur cushion sits atop a matte black metal frame for a retro look with tons of visual interest. In a style category all its own, this chair is a statement piece that works equally well in an upscale modern loft and an eclectic, casual sitting room. Comfortable and stylish, the Royal chair is sure to be the center of attention and the most popular seat in your house.